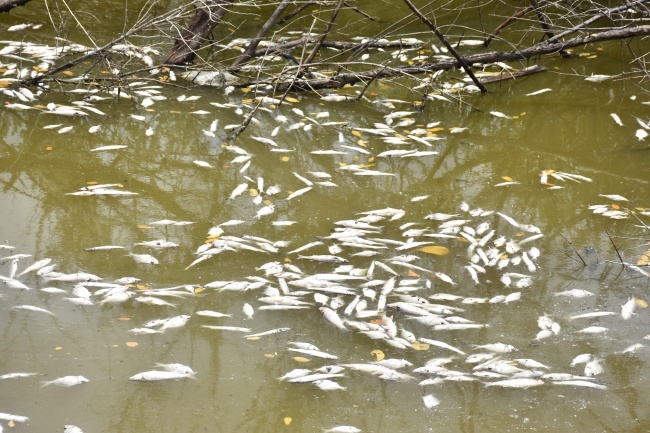 The Ministry of Natural Resources and Labour said it is investigating the cause of the major fish kill that happened at a pond in Josiah’s Bay, Tortola recently. In a brief conversation with BVI News at the pond on Monday, Permanent Secretary Ronald Smith-Berkeley said water quality tests will be conducted this week. Local authorities had said they suspect oxygen deprivation to be the cause of the issue, which killed hundreds of fish and a number of crabs. The dead organisms had begun to cause a stink in the area so workmen from Bhanquest Development visited the site to conduct a cleanup exercise. Workmen removed the dead fish from the pond. They also removed decomposing trees that had fallen in the water during the 2017 hurricanes. Decaying vegetation are said to be one of the main causes of oxygen depletion in bodies of water such as the Josiah’s Bay pond. 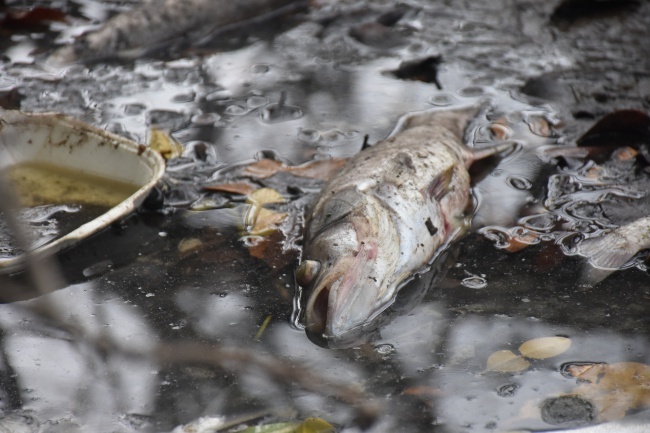 Head of the Environmental Health Department, Lionel Michael, said high temperatures and decreased water depth may also cause oxygen depletion, which may then lead to fish kills. 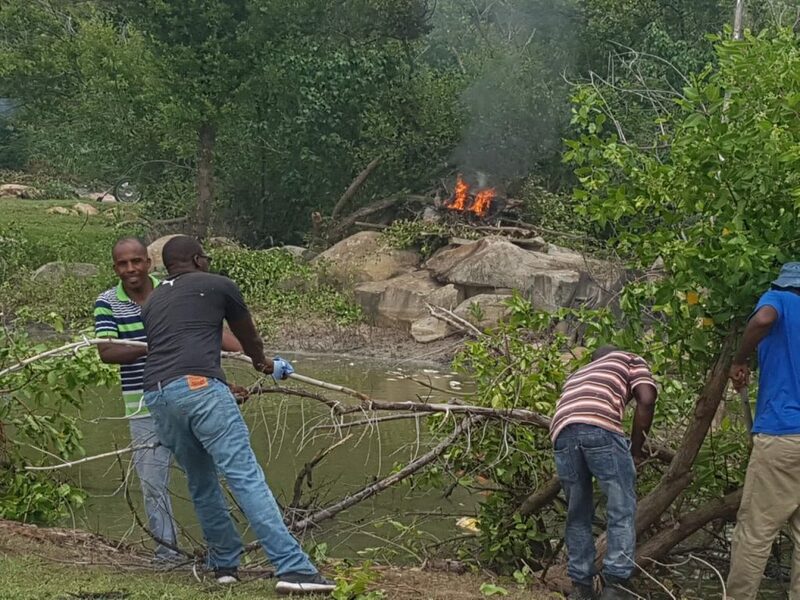 Workmen from local company Bhanquest Development haul a dead tree from the pond in Josiah’s Bay. Normally you can pump some water from the nearby Sea into the pond and create an overflow exit so some movement can take place in the water creating oxygen. However thats if it was possible and you want to save the remaining lives in the pond. This environment just seems so be extremely hot as the years goes by. Yes it is taught you knew your country. Let’s not just limit watertesting to the bay area and sea life. 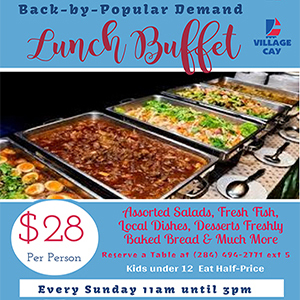 BVI potable water causes kidney disease and parhaps heart and cancer! Life and death is in the water that we drink, use topically and internally! How could they let a garage build right there just yards from the pond.this has never happened in the history of josiah’s bay.some thorough test needs to be done.i would be monitoring this.